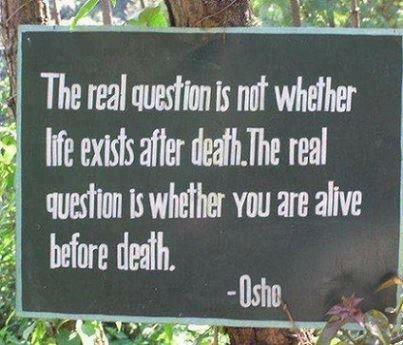 Merely breathing is not being alive. 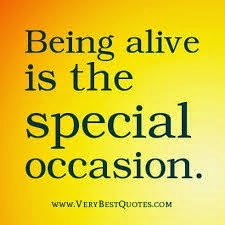 Being alive is when you are in the thick and swirl of Life and are enjoying each moment! Being alive is when you are living each moment as if it were your last! In the movie Zindagi Na Milegi Dobara (2011, Zoya Akhtar), there a beautiful poem by lyricist Javed Akhtar (rendered by Farhan Akhtar), that talks about what it means to ‘Be Alive’! I am sharing here the original Hindi version (in English script!) and the English translation – courtesy indicine.com. To be sure, you can be alive to the moment even when you are in enormous pain, as long as you are not grieving! Grief is a killer. Just as guilt, anger, worry or hatred are! When you welcome each moment, no matter what it brings with it, with open arms and are willing to accept it for what it is, you are alive! 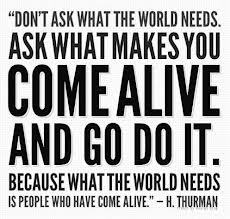 Wishing you a wonderful and ALIVE day today!